Callen's first Highland Weddings 18th-century historical begins with the kidnapping of a woman who has been mistaken for her abductor's fianc e. Riona Duff is taken from her bed by Hugh McCallum to fulfill the betrothal contract agreed upon by their fathers. As they travel from York to Scotland, Riona tries to convince Hugh that his intended bride is really her cousin, Cat, but Hugh doesn't believe her. Riona refuses to succumb to Hugh's allure or acquiesce to the marriage, despite his attempts to woo her. Her determination begins to falter when they reach Scotland and she realizes the depths of the man claiming to be her betrothed. Without forcing her, he seeks to show her how good marriage between them would be, even as he is working to earn respect from his clan as their laird. As Riona gradually realizes her feelings for Hugh, she knows that her heart will be shattered when he learns that he truly has stolen the wrong bride. Callen's unusual and moving story is enhanced by the realism of her characters, whose humanity is revealed through their imperfections. Agency: Fallon Literary Agency. 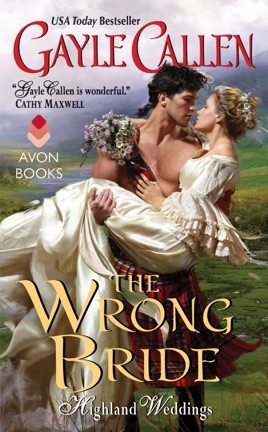 The first in a new highland romance historical series, The Wrong Bride is a wrong-place wrong-time situation gone horribly, or not so, awry. Catriona (Riona) is visiting her paternal uncle’s home, staying in her cousin’s room. 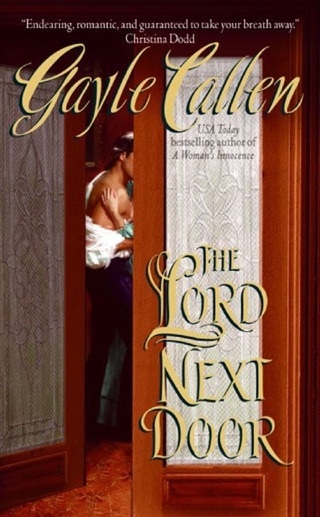 Her cousin, also Catriona, is sent off to the country by her father, in anticipation of some forceful means of collecting on a bridal contract. See, years ago, her uncle entered into a contract for his daughter’s hand in marriage to Hugh, the son of the McCallums, an abutting landowner. Now, as the time for the deal is coming Duff has arranged for his own daughter’s safety. Rebuffed and angry, Hugh returns to capture his bride, taking Catriona from the room he knows is hers. Unfortunately, the girl in the chamber is not the promised one, and our story takes flight. Needing Hugh to understand and believe the truth, Riona is relentless in trying to get the bullheaded Hugh to listen to her: sure their names are the same, but she knows that the dowry he expects, so desperately needed for his ability to help the clan, won’t come, and she wants little more than to return home. But, Hugh’s plans for the clan, and his determination to do right by them, combined with his protectiveness, and despite his inability to listen, show him in a new light: one that doesn’t include crazed kidnapping highlander. With his realization of the truth however, a whole new set of questions are asked, and Hugh has decisions and doubts: will Riona, the one he has come to care for, take him, even if the contract was not for her. Well-developed characters who showed solid growth and growing connection, even as circumstances truly thrust the two together. While the “mystery” of the wrong bride was instantly apparent to everyone BUT Hugh, the fun in this story is in his slow realization of the fact, and the author’s choices for resolution.